Are You Unhappy Because You do These Things? Many of the ideas that we have, indeed, many of the ideas that are pervasive in our culture, quite simply, make us unhappy and contribute to significant emotional pain. We can however, learn to challenge and question these ideas and beliefs and seek to see situations and life in a new way. Do you think that everyone has to like you? Are you devastated if you find out that some people don't like you? Or, do you think that those around you don't value you enough? Such ideas will make you neurotic; being liked by everyone, like perfectionism, is simply unattainable. Be true to your conscience, have high standards, respect yourself and others, be tolerant and realise, that there is no necessity for others to like you. You however, must like and approve of yourself. Do you believe that you must succeed, be competent and continually achieving in order to gain respect and be worthwhile? if so, this is a sure way to become anxious and neurotic and undermine your own confidence. Of course, pursing success and having high standards is to be commended; problems occur when you "must" achieve and be the best at all costs. Being the best becomes an essential part of your self-worth and a prerequisite of being happy. This mindset is likely to lead to an emotional meltdown, when things inevitably go wrong, or mistakes are made. Strive and do your best, do not compare yourself to others and keep your ego in check. Nobody is perfect and we all have our limitations. Do you believe that people are either good or bad? Do you blame and punish others when they make mistakes? Do you demand an unrealistic level of perfection or standards for yourself or those around you? According to Dr. David Eagleman, a well known neuroscientist, different parts of our brains are battling it out. The part of the brain that wins, will determine the behaviour. This means that, if you have been told a secret for example, one part of your brain will want to tell the secret and another part won't. Understanding this and having empathy for ourselves and others when we make mistakes and wrong choices, can stop us from being angry and vindictive and wanting to enforce punitive punishments. Children who grow up to believe people are either good or bad, often grow up to be sad and depressed; they may become bigots, racked with guilt, or anxious and neurotic. Realise that we all make mistakes; we are all fallible. We can merely try to improve ourselves. So let's be charitable and realistic about ourselves and others. Do you feel that you have little control over your own health and happiness? Do you believe that your feelings and things that happen to you, are due to uncontrollable factors such as the environment, other people, or a higher power? If so, this means that you have an external locus of control; a belief that forces outside yourself control your fate and you have no impact to change your life by your own actions. You can learn to overcome this philosophical error, by realising that most of us have the ability to bring about change in our lives by making goals and taking action. Do you dwell on terrible things that might happen? While it is good to be aware of possible dangers and act in a safe and responsible manner, worrying constantly about potential calamities is likely to create intense anxiety. This worrying about events that may never happen, requires a lot of energy and it can also make you nervous so that you may actually cause an accident because you are not calm and in control. Dread, over-concern and fears of calamity, can cause you to live a very narrow and circumscribed life where you may miss many of life's highs and lows. Do you think that you are not strong enough on your own? Do you think you need to be dependent on someone who is stronger than yourself? Being free to pursue life on your own terms and think for yourself, does not mean that you don't have close relationships, collaborations or beliefs. It simply means that you value your own independence and rational thought processes. Social cooperation is necessary for everyone in our society, but being dependent on another person or abstract belief, which you feel is stronger than yourself, robs you of thinking for yourself and making your own intelligent decisions. Do you think that your past will determine your future? Things may have happened to you in the past, or you may have acted a certain way. This does not mean that these factors will continue. You can change your future and learn from past situations and mistakes. If you were bullied as a teenager, this does not mean that there is anything wrong with you. It does not mean that bullying will continue, as you move through educational institutions and the workforce. It does however, provide you with an oportunity to learn how not to treat others and perhaps brush up on your social skills and learn about the psychology of bullies. We cannot change the way others behave; we can however, look at ourselves and how we behave. Do you believe that there is only one solution to a problem? The tendency to believe that there is only one perfect way to do something, or one perfect solution, tends to come with perfectionism. And perfectionism, is not a trait which is adaptive to a happy and fulfilled life. Insisting that there is only one correct way, deprives you of experimenting and being creative. And, insisting that something must be "perfect" is unrealistic, unattainable and limiting. Generally, it makes more sense to consider various solutions to a problem. Also, consider other possible alternatives that are workable and practical rather than "perfect." Mistakes are the portals of discovery. --James Joyce. Freedom is not worth having if it does not include the freedom to make mistakes. --Mahatma Gandhi. The Constitution only gives people the right to pursue happiness. You have to catch it yourself. --Benjamin Franklin. The first recipe for happiness is: avoid too lengthy meditation on the past.--Andre Maurois. 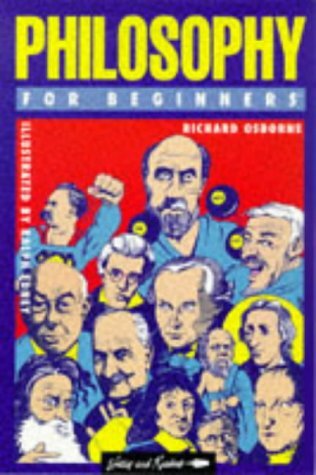 Written by Richard Osborne, a philosopher and writer with special interests in Art, Technology and contemporary culture. 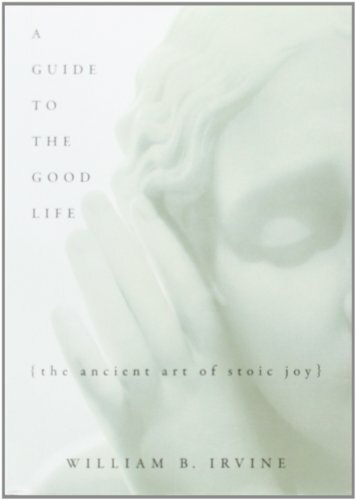 In A Guide to the Good Life, William B. Irvine plumbs the wisdom of Stoic philosophy, one of the most popular and successful schools of thought in ancient Rome, and shows how its insight and advice are still remarkably applicable to modern lives. David Eagleman Incognito': What's Hiding In The Unconscious Mind . http://www.wbur.org/npr/159922899/incognito-whats-hiding-in-the-unconscious-mind?ft=3&f=159922899: NPR, 2011. Albert Ellis Reason and Emotion in Psychotherapy . Secaucus. New Jersey. : Lyle Stuart, 1962.